GTA 5 Cheats compiled some of the most common questions (faqs) that Grand Theft Auto V players have sent us over the years. Hopefully if you are having trouble using the cheats in GTA V or you have a question about how to use them, your query is covered below. If not, please feel free to get in touch or post your specific issue in the comments section of the relevant cheats page. What types of cheats can I use in GTA V? Player Effects: These are cheats like fast run, super jump, invincibility, etc. Items: These are the “give items” type cheats, currently “give parachute” and “give all weapons”. World Effects: These change the environment within the game, for example, changing the weather, activating moon gravity and slow motion. Spawn Vehicles: These are the easiest, as the name suggests if you use these cheats then a particular vehicle will spawn. For a more details breakdown of the cheat types above, and the individual cheats within each group, click here. Is there a money cheat for Grand Theft Auto V? No there is not. For further information click here. Is there a spawn jet pack cheat in GTA V? Unfortunately no. There are no jet packs in GTA V full stop. What is different in the remastered version of GTA 5? Lots of things, including graphic upgrades, cell phone cheats and also special bonus vehicle cheats. Check out this additional FAQ for more info. Can I use cheats in GTA 5 Online? No! But if you want some hints and guide, click here. What are the different ways to activate/use cheats in Grand Theft Auto V? For the original Xbox 360 and PS3 versions of the game, you must use the controller to enter a button and d-pad combination. There is no in-game cell phone cheats in these two versions of the game. For the next generation Xbox One and PS4 console versions of the game, you can use either the: (1) in-game cell phone; or (2) the controller to enter a button and d-pad combination. For the PC version of the game you can use either the: (1) in-game cell phone; or (2) the PC console menu (press ~). How do I dial a cheat using the in-game cell phone? Bring out the cell phone by press up on the d-pad on your controller, or by pressing either “T” or “Backspace” on your keyboard. After that go to your contacts list and press either X (for the Xbox version), Square (for the Playstation version) or “Spacebar” (for the PC version) to manually dial a number/activate a cheat. How do I use the redial function on the cell phone to automatically activate the last cheat I used? 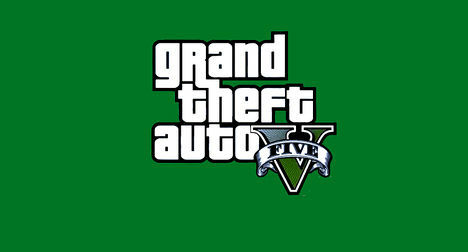 The redial button on the GTA V cell phone is “*”, on the phone’s keypad. “D-pad” means the directional pad on your console controller. How do I enter directions on my console controller? Use the d-pad, not the analog stick. How do I access the “console” in the PC version of the game to enter cheat codes? You need to press the tilde key to bring up the console. It is the one in the top left of your keyboard with the ~ symbol on it. Can cheats be saved (either into the cell phone or another menu)? No, you cannot save cheats at all. You must manually enter them each and every time you wish to use them. I’m trying to enter a direction/button combination cheat, why is my cheat not being activated? If you are using a button combination cheat, try entering it very quickly. If you are attempting to spawn a vehicle, see the question below. Why is my vehicle spawn cheat not working? Vehicle spawns sometimes do not work if you are in a small/cramped/enclosed space. Try going somewhere where there is a lot of empty space and a relatively flat surface, and spawning the vehicle you want there. Can cheat codes be entered during game play? Can cheat codes be entered while the game is paused? Can I use cheats in GTA V during a mission? No you cannot. Cheats will become automatically disabled during any mission. Can I earn Trophies or Achievements while using cheats? No, the earning of Trophies or Achievements is disabled while cheat codes are active. When I save my game, will any active cheats be saved too? No, when you reload or restart your game, any cheats will be removed. Do you have any demo videos of the cheats being activated and used? Yes we do! When viewing the relevant cheats page you can click the “Demo Video” link under the relevant cheat, or otherwise click here. How do I use the slow motion cheat? You can enter the slow motion cheat up to three times in a row and each time will give you an increase in effect. Then if you enter it for a fourth time, the cheat will be disabled. How does the change weather cheat work? The change weather cheat rotates through different effects each time you use it. First is sunny, then clear, cloudy, smoggy, overcast, rainy, thundery, clearing and finally snowing. How does the slow motion aim cheat work? You can enter the slow motion aim cheat up to four times in a row and each time will give you an increase in effect. Then if you enter it for a fifth time, the cheat will be disabled. How long does the invincibility cheat last for? Once activated, the invincibility cheat will last for 5 minutes.